‘[sic]’ is the classic device for sneering at the bad English of the person you’re quoting. It can be prissy and intrusive if overused, but in the right place it can be gently witty. But what’s it doing here? I had to stop and think what might be wrong with ‘vanishingly unlikely’. My only guess is that it’s about the logic of the double negative: something that’s very unlikely would, logically, be vanishingly likely, right? And ‘vanishingly unlikely’ would, logically, mean near-certain, right? Rubbish. It should hardly need saying, but if you want a perfectly logical language, English is not for you. The British National Corpus holds 60 uses of ‘vanishingly’: 20 of these are followed by ‘small’, three ‘improbable’, one ‘scarce’ and one ‘low’. The Corpus of Contemporary American English has 85: 48 ‘small’, eight ‘rare’, eight ‘low’, six ‘thin’, two ‘faint’, an ‘unlikely’, a ‘sparse’ and a couple of others. All these uses are marked by negativity. And yet, there is a logic to this, too, one that the Guardian’s sub-editor seems to have missed: ‘vanishingly X’ means ‘so X as to be near vanishing’. Even the Guardian’s own usage bears this out. Since the start of 2012, ‘vanishingly’ has appeared 52 times (not counting the above): 29 ‘small’, 11 ‘rare’, four ‘unlikely’ and a few others in the same vein. Maybe they’ve got a new sub. You can find people on the internet who use it, but they’re really in the minority. I like puzzling over language peeves that I’ve never seen before, but I hope I never see this one again. Update: Warsaw Will, who hadn’t previously come across ‘vanishingly’, has done more research on its use and history. He likens the meaning of ‘vanishingly unlikely’ to that of ‘increasingly unlikely’ – terms whose adverbs are apparently in opposition. 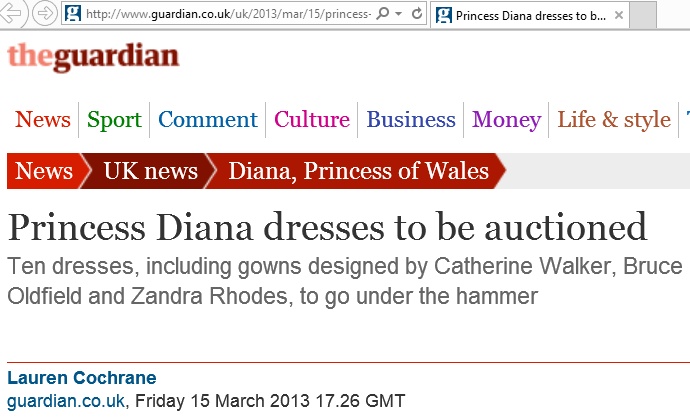 So we come to roughly the same view of what the Guardian’s ‘[sic]’ must have meant. (1) His voice is vanishingly quiet as well as monotonal, and he is slightly deaf, which makes conversation something of a challenge. (2) Recreational football in China is vanishingly rare – government authorities shunt promising young players through specialised sports schools where they are trained according to Stalinist athletic theory. (4) Anyone concerned about the care gap and how it is going to be filled, short of the vanishingly unlikely prospect of recruiting an extra million social care workers over the next decade, should be heartened by the development. (5) But the number of commercial companies that are more than a century old is vanishingly small. (6) This device allows the detection of vanishingly tiny amounts of pollutants. (1) and (2) seem to be ongoing situations, (3) and (6) definitely are, while (4) and (5) probably suggest decline. My best judgement is that ‘vanishingly’ is normally used to mean something like ‘extremely’, but only in implying a near-zero level of probability, frequency, size or whatever. Maybe it’s a step up from ‘infinitesimally’. Well, if she looks her best, she’ll fetch a higher price. If you don’t like words being moved from one grammatical category to another, then you’ll hate ‘impact’. In the 17th and 18th centuries it was a verb – yes, originally it was a verb – meaning to press or pack in tightly. By the late 18th, there was a noun form too, meaning an impinging or a collision. The verb form seems to have pretty much died out by the 19th century, during which a figurative noun sense appeared, meaning an effect. The literal and figurative nouns gradually picked up steam and are still going strong, but in the first half of the 20th century new verb forms appeared too: a literal sense meaning to come forcibly into contact and then a figurative one meaning to affect. It’s this last usage, which has only really taken off since the 1960s, that draws the most ire these days. (1) It is feared the cold spell will have an impact on the main outdoor crop of Jersey Royal potatoes, which are planted from January onwards. (2) Campaigners said the figure pointed to a huge public health problem that impacted on thousands of families. (3) The region is still facing the same global issues, such as the eurozone crisis, that impacted its growth in the past year. I think that (1) is fine if a bit dry, (2) is tolerable but unattractive, and (3) is painfully bureaucratic. But, as my colleague Danny once said, my opinion is statistically insignificant. So what’s the bigger picture? Clearly, the verb form is pretty common – more so in the US than the UK. Another difference is in whether the verb is transitive (without a preposition) or intransitive (with one, typically ‘on’): Brits tend to favour the intransitive, while Americans strongly favour the transitive. Usage guides range from sceptical to hostile. The American Heritage Dictionary’s usage panel (in 2001) strongly rejected the verb. Used figuratively, intransitive ‘impact’ was opposed by 85% and transitive by 80%. Even when used literally (“meteors have impacted the lunar surface”), 66% were opposed. Bryan Garner (2009) rates transitive and intransitive ‘impact’ as stage 3 on his language-change index (“commonplace even among many well-educated people but is still avoided in careful usage”). He recommends not using ‘impact’ as a verb, but says: “These uses of the word would be perfectly acceptable if impact were performing any function not as ably performed by affect or influence.” This puzzles me: why is a pair of near-synonyms OK but a trio not? Looking further back, HW Fowler (1926) doesn’t consider the possibility of ‘impact’ as a verb, but still finds a controversy: “impact (n.) means the striking of one thing against another and, by extension, its effect on the object struck. Used figuratively in this last sense, it has become a vogue word.” He disparages the vogue. But his complaints have been swept away by history. And looking at the Ngrams, the figurative verb forms are becoming more and more standard. No amount of griping will undo this. How much griping is there? Certainly much less than among the capable but unrepresentative American Heritage panel 12 years ago. This is just the sort of thing I’d like to see a broader survey cover. But as there hasn’t been one, this has to be a judgement call: how linguistically conservative is your audience? Finally: I noticed in my example-hunting that figurative uses of ‘impact’ – noun or verb – are overwhelmingly negative in implication, unlike the neutrality of ‘effect’, ‘affect’ and ‘influence’. Impacts and impacting are mostly bad. Let’s hope that’s not an omen. The winner, and the other runners-up, are great. Read them now. Linguistic corpora are wonderful things: vast catalogues of examples of the ways people use language. Well-compiled corpora are great academic research tools and they’re essential for informing dictionaries and other resources such as usage guides. These guides – at least, the sensible ones – pay attention to what people say and write to inform their recommendations. But there’s another side to the story. Language is as much about receiving as transmitting, and while a corpus tells us what the speakers and writers are doing, it doesn’t cover the reactions of listeners and readers. A certain word or phrase or grammatical construction may be commonly used in a certain way by plenty of people, but that fact doesn’t tell us whether other people understand it consistently or find it off-putting. With this in mind, the other day I carried out a silly little straw poll doomed to have completely unrepresentative results. I asked people on Twitter to guess what percentage of adult native English speakers dislike split infinitives – a classic staple of popular grammar debates. I also asked people whether they personally were part of that group. There were 22 people kind enough to answer. Five of the 22 said they did dislike split infinitives (23%). The other 17 (77%) said they didn’t, although three (14%) volunteered reservations about using them. Only 18 people made a numerical guess about how common this dislike is. Guesses ranged from 0.00001% to 32% of the population, neither of which I took terribly seriously, with 11 of the 18 (61%) saying 5% or less and four (22%) saying more than 10%. Among the comments people offered was Michael Regnier (whose writing I have the regular pleasure of copyediting) saying “5% of adult native English speakers have a reflex reaction against split infinitives; 0.05% actually ‘dislike’ them”. Whatever the numbers, this feels right: the number of passionate believers is far exceeded by the number of people with a vague sense of what they ‘ought’ to do but who aren’t really bothered. William Brett seemed to be a case in point, giving his attitude as “trained to dislike them but secretly don’t”. I’m not going to get into an argument about split infinitives. My business here is different. How can we properly find out about people’s reactions to split infinitives, or other (more interesting) aspects of usage? One way would be doing a larger, professional survey along the lines of my straw poll: get a market research company to ask a representative sample of the public (or any target demographic) what they think about split infinitives. This has obvious limits: plenty of people won’t know what a split infinitive is. Others will say what they think they ‘ought’ to say rather than reporting their real attitudes. Give a group of people the task of rating hypothetical candidates for a job. Explain that the candidates’ skills, experience and so on are very evenly matched, so the choice has to be based on their personal statements. These would be short passages supposedly written by them. You’d try to make them roughly as good as each other, but some would contain a few split infinitives and some a few unsplit infinitives. Get each person to rate how good they think each candidate would be. You could also ask a follow-up question about how well-written each statement was. You give a second group of people the same statements but with the split/unsplit infinitives reversed. Then you take the average ratings across the two groups and see what difference, if any, tinkering with the infinitives has made. A similar method would be to present arguments (on a not-too-controversial topic) containing split/unsplit infinitives and asking people how much they agree or disagree. Another would be for the text to be a factual description of something; once people have read it, you take it away and ask them questions to test how well they understood it. You could also time how long it takes people to finish reading, as a measure of ease of comprehension. I’ve hardly seen any studies in this vein: for instance, this one found that concrete language is more convincing than abstract language. But they seem few and far between, so I guess it’s a bit of a niche area. What we need is an eccentric billionaire willing to bankroll a load of these studies. Anyone?